3 Bedroom Semi Detached House For Sale in Cheadle for Asking Price £359,950. Offered with no onward vendor chain and modernised throughout a stunning three bedroom extended semi-detached home. 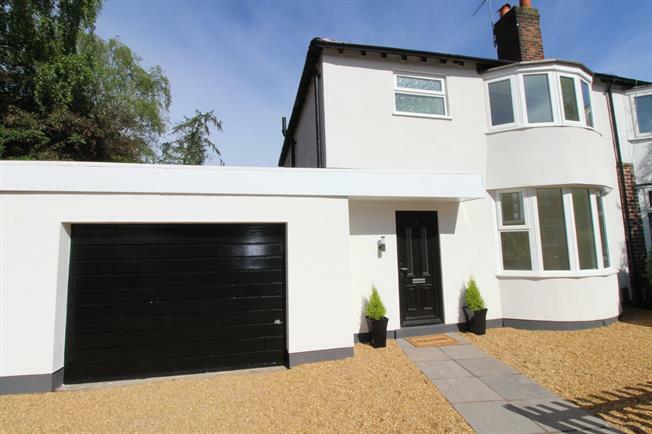 Nestled within a popular cul-de-sac on the doorstep of Cheadle Hulme village the property will make a superb family home with generously proportioned accommodation throughout. Comprises:- entrance hallway, living room, large modern fitted dining kitchen with patio doors opening onto the rear garden, utility room and shower room. To the first floor three double bedrooms, bathroom and WC.